I love blogging. I enjoy sharing my love of needlework with others. I enjoy talking about my business. But I am a perfectionist. And I want my blog to be brilliant. To have wonderful people visiting it, and admiring my work. The same way that I admire the work of others. To me, my blog is not the wonderful place it could be. Some of the blogs I read present their photos in attractive ways. They style their photos beautifully. And I wanted to know what their secrets are. So I wait for the perfect time to take that perfect photo. and I look for the perfect words to write that perfect post. And I look for the perfect person to guide me on my journey. So when I discoverd that Holly Becker, from Decor8, had a blogging course, I signed up. 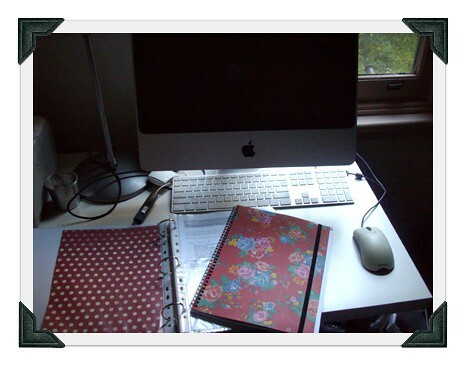 And 12 months later, I still refer to the information provided in that first online course – Blogging Your Way. And the second (Blogging Your Way 2.0). When It came to the Blogging Your Way Bootcamp, I had to think carefully – one of my issues is lack of time. Another was wondering if I still had much to learn from Holly, and her team of teachers. And I decided that this was too good an opportunity to pass up. So for the last two weeks, and for another two weeks, I am once again a student, struggling to keep up with my homework, but enjoying this course and meeting so many wonderful bloggers. And I hope that by the end of this month-long course, my blog will come closer to my perfect ideal. Do you stitch for Christmas? Dropping by from BYW, and i must say that I love your blog – I will be coming back to read through older posts and to keep up with what you are doing! I think you’re going really well!